Wow! There are a lot of really good offers online! 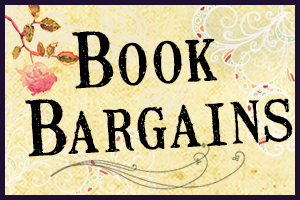 Ellora's Cave is offering a 50% rebate on all books at ARe. Offer is until April 30. Members of Discover a New Love enjoy a 20% discount on their Spring selections. (Use code SPRING20 at checkout.) Offer is until April 21. Barnes & Noble has a selection of books that are $2.99 and under. Lots of great romance titles! And now for fun Kindle finds! According to the reviews, this is a collection of three novellas, which comprise the Heroes of the Highlands Trilogy. I know I'm only supposed to feature historical romances, but this was too good a deal not to feature! Lydia Dare's first three books, all for the price of one! This is another really great bundle! It contains the first three books of the Wyndham family series. Thanks for the heads up, Tin!